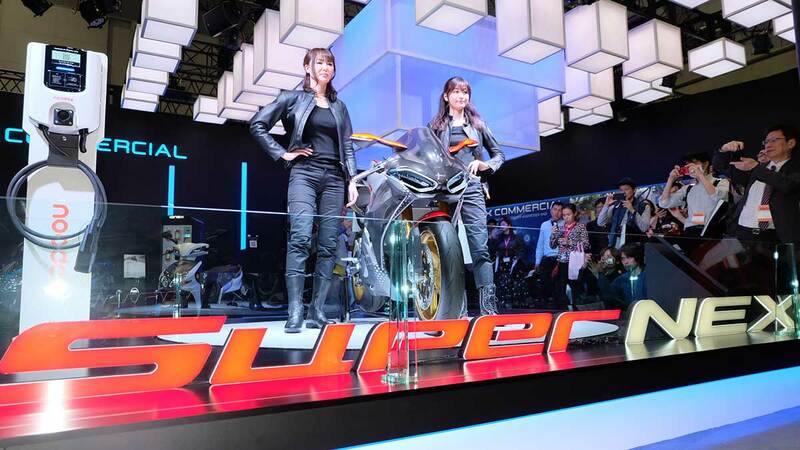 When the 46th Tokyo Motorcycle Show opened its doors to the general public on March 21, 2019, it showcased the best products from 150 manufacturers, dealers, and organizations. 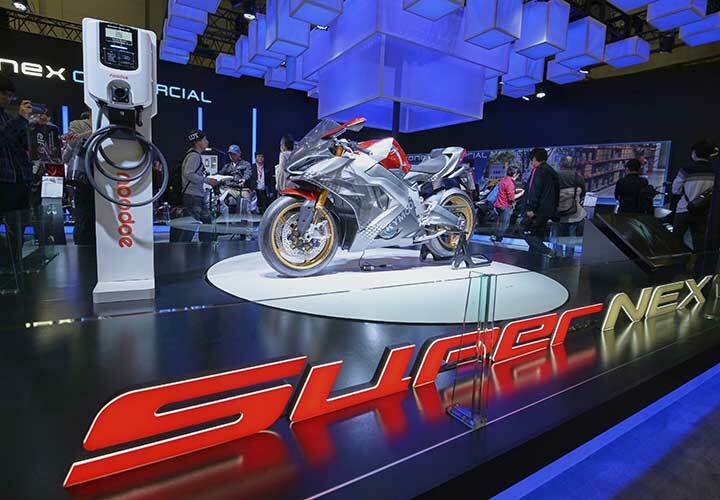 It took only a few minutes for the sea of motorcycle enthusiasts to fill up the exhibit halls as they eagerly checked out the latest releases in the industry. However, some of them felt shortchanged. 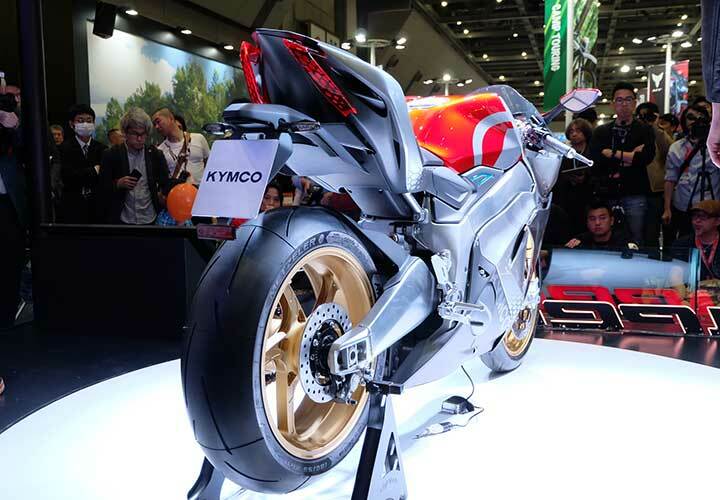 Of the many exhibitors coming from different parts of the world, only two manufacturers—Kymco and Honda—had their latest electric creations front and center at their respective displays. Late last year at the well-attended EICMA show in Italy, several motorcycle companies highlighted their futuristic e-bikes. But why were most of the e-bikes at EICMA a no-show at this year’s Tokyo motorcyle event? Is this a sign that the e-bike program is losing steam? The Taiwanese maker of scooters, ATVs, and motorcycles pulled the covers off its revolutionary SuperNEX, its first electric sport bike that’s still in the concept stage, but has already been rated by motorcycle critics as among the top five bikes launched at EICMA 2018. Equipped with a six-speed gearbox, the SuperNEX can sprint from zero to 100kph in 2.9sec, and is capable of reaching a top speed of 250kph. Not bad! 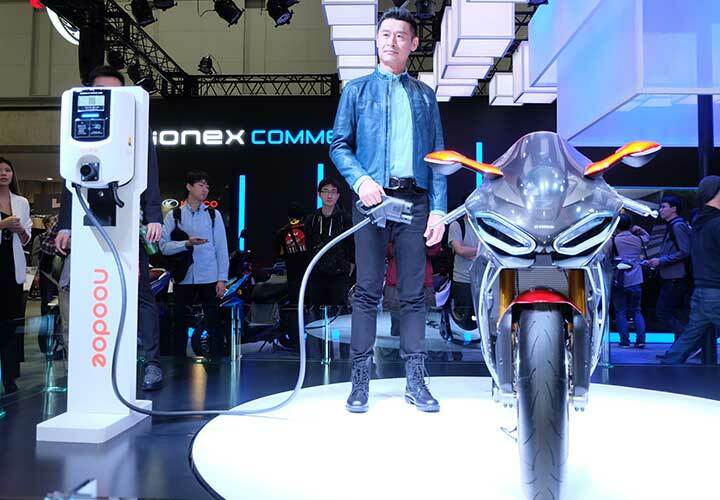 At last year’s staging of the Tokyo Motorcycle Show, Moto Sapiens witnessed the unveiling of the Ionex system, which completed the requirements for energy use and distribution of Kymco electric vehicles. 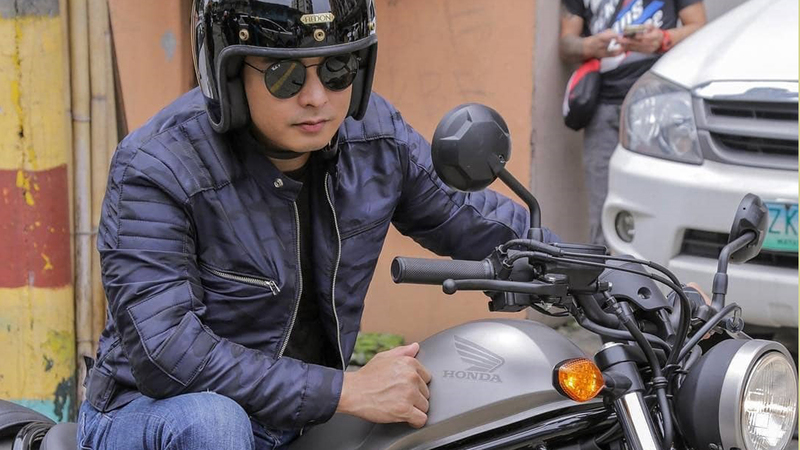 Incidentally, the Ionex system was introduced by Kymco Philippines during the 13th Inside Racing Bike Bike Festival and Trade Show held concurrently with the Japanese motorcycle event. 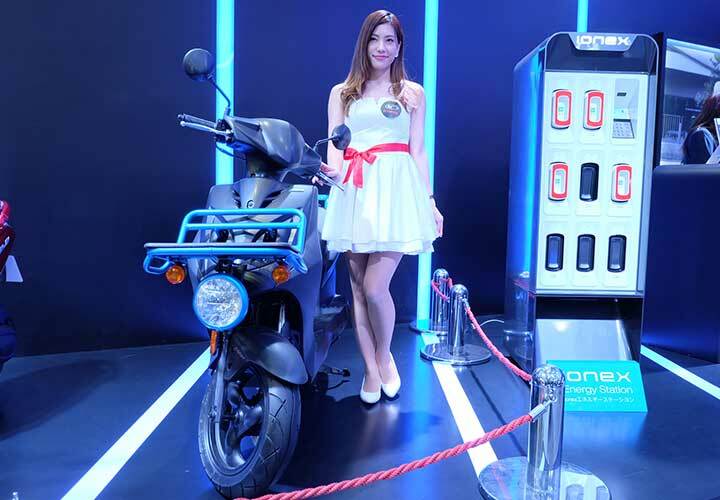 Aside from the SuperNEX, other Kymco e-bikes that also drew a huge crowd at Tokyo Big Sight were the Ionex Commercial, a new model lineup primarily designed for business use, and the Noodoe EV Operating System, an innovative standalone battery charging facility designed for public use. We asked Mr. Ko if he thinks Kymco is in the right direction with its electric motorcycle program. “When there are charging stations, [e-bikes production] will kick off at a very fast rate. In one, two, or three years, we will launch in the global market the SuperNEX,” Ko stressed, saying that Kymco’s sport-bike model will follow the direction of the Ionex system in the global scene, and that the company’s e-scooters using this technology now make up 10% of motorcycle sales in Taiwan. What’s more, Kymco has already started producing e-scooters in China after forging a partnership with the Alibaba Group, which will deploy these environment-friendly units for its online-shopping delivery service. The Taiwanese government is set to ban motorcycle combustion engines by 2035. Ko thinks that with a 16-year lead time, Kymco can comply with this pro-environment regulation. 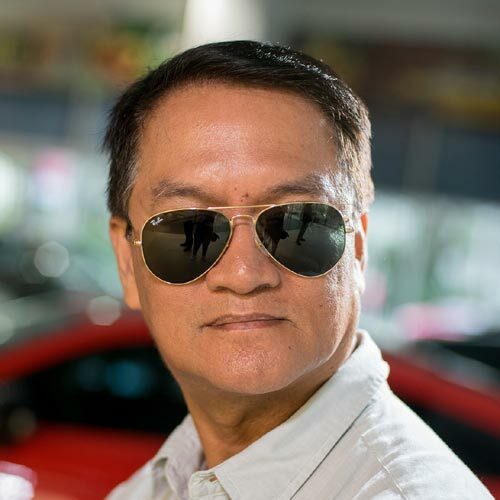 By 2035, he believes his company’s electric motorcycles and scooters will have already penetrated the global market, including the Philippines. Do you believe so, too?